350ml reusable coffee cup with heat resistant silicone bands and colourful design. 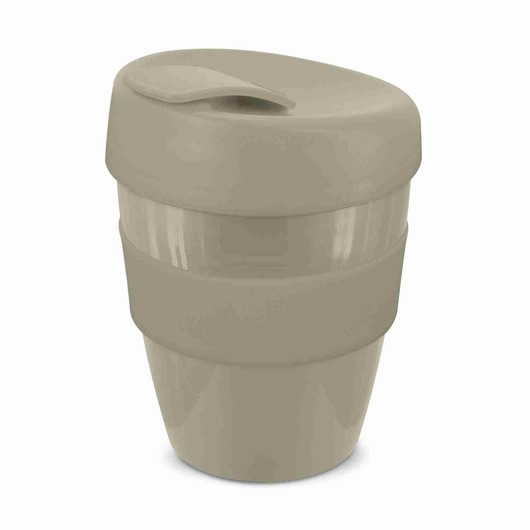 Whether you are serving coffee, tea or cocoa, this design inspired 350ml reusable coffee cup is the right choice for you! 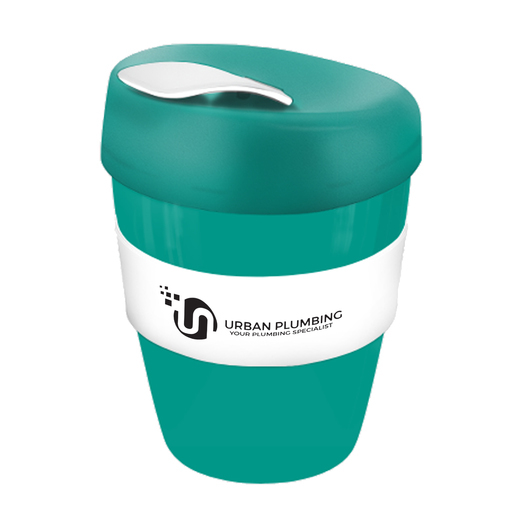 It comes with a heat resistant silicone band and a secure screw on lid which features a unique leak proof flip closure to prevent spills. It is manufactured from tough BPA free, food grade polypropylene which is dishwasher safe and recyclable. 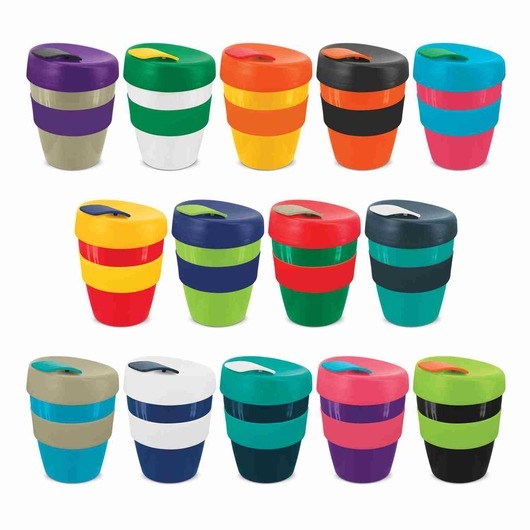 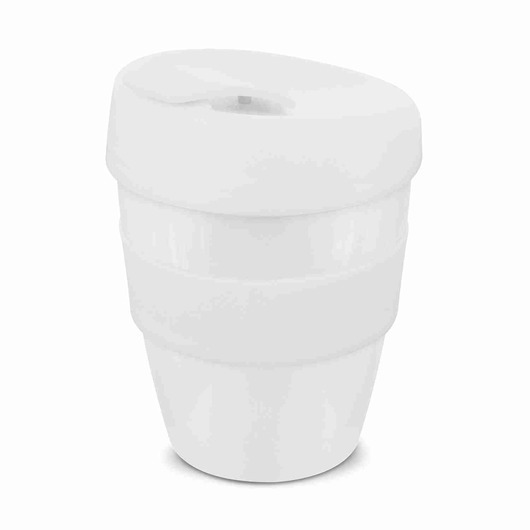 Design your own reusable coffee cup with a staggering 38,416 colour combinations available. A fantastic eco cup that will help the planet and increase your branding awareness.